Creative Inspire T10 speakers give a high-quality performance of all your digital music. 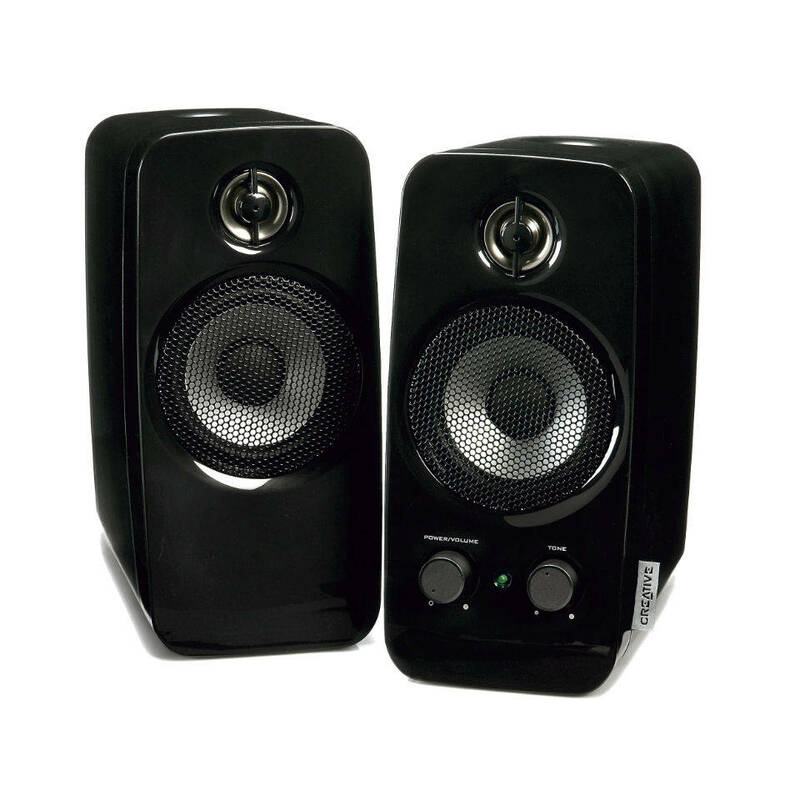 Compact and sleek, in glossy black, they combine advanced engineering with good looks to deliver better audio with your PC, notebook or MP3 player. They create a true 'Hi-Fi' sound stage, using separate tweeters for high-end perfection, precision drivers for accurate mid-tones and BasXPort™ technology for strong lows without a subwoofer. Separate controls for volume and bass enable you to optimise playback with any kind of music, and you can position Inspire T10s close to PC monitors and TV screens thanks to their magnetic shielding. They include a headphone socket for private listening.